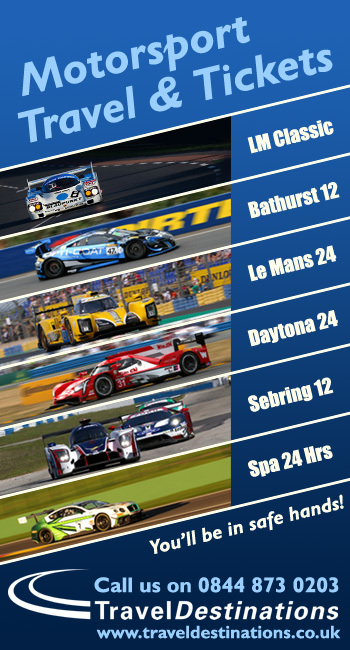 2019 Calendars, and new GT2 class revealed! 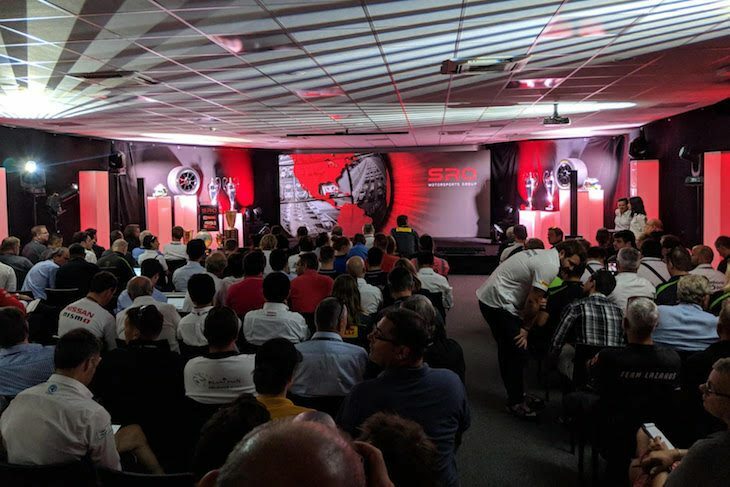 In his annual Press Conference at the Spa 24 Hours, SRO founder and CEO Stephane Ratel covered off a wide range of subjects and announcements including the 2019 calendars for all of the major SRO-run Series and Championships. Starting with a number of additional races already added to the 2018 schedule, Ratel confirmed a high level of interest for the forthcoming Suzuka 10 Hours, “I believe that, out of the box, the Suzuka 10 Hours will be the second biggest GT3 race in the world.” 35-40 GT3/ GT300 cars already signed up. The recently confirmed Pro-AM World Cup (30 Nov/1 December) (Nations Cup, 1 car per Nation) which will take place at the Bahrain International Circuit on Bahrain has an entry of 24-30 nations targeted. The same meeting will see what is planned to become an annual GT4 World Cup with 50 cars targeted. Ratel revealed that 311 GT3 cars are currently racing in National and International Series globally. 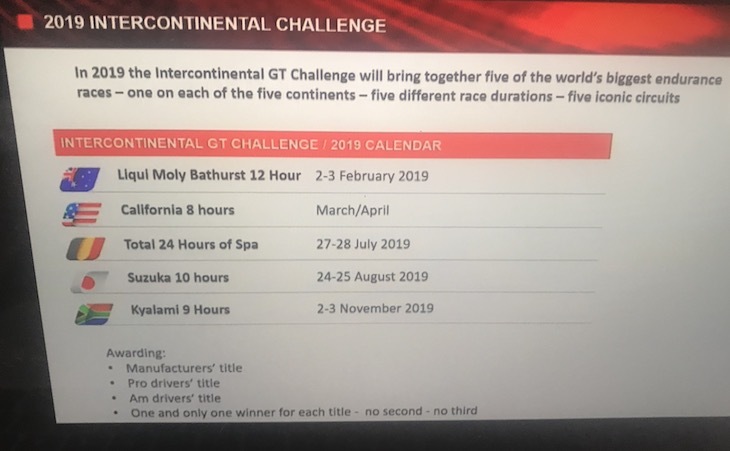 Kyalami added for 2019 (November) The Intercontinetal Challenge will have 5 races on 5 Continents, Manufacturers, Pro and Am drivers titles. Toby Venter, Kyalami Circuit Owner was present on stage speaking of reviving a proud heritage of international endurance racing in South Africa and building on the history of the Kyalami 9 Hours. 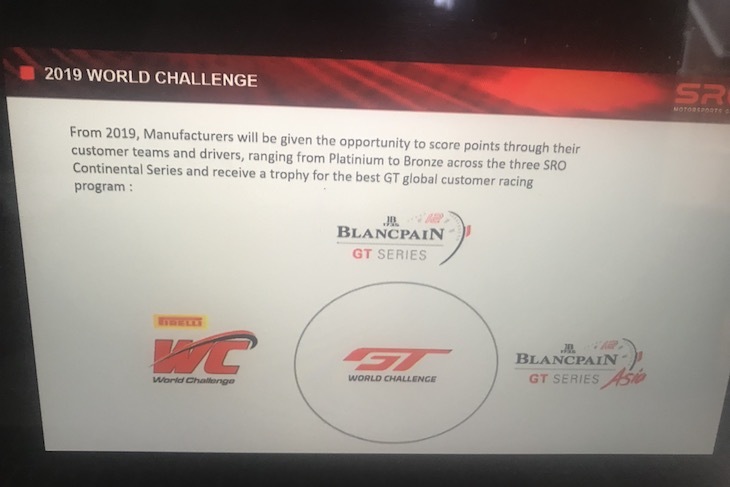 And there is another global title set to be launched, a Manufacturers World Challenge, to be formally announced at the Blancpain Series finale at Barcelona, giving GT3 manufacturers an opportunity to earn points towards a global title across several SRO Championships with their Customer Racing efforts, this title sits beneath the IGTC. He added that there was work underway to make Blancpain Sprint more appealing, the Series will return to Barcelona and will add a race at Red Bull Ring, the 2019 Series will be capped entries at 26 cars. 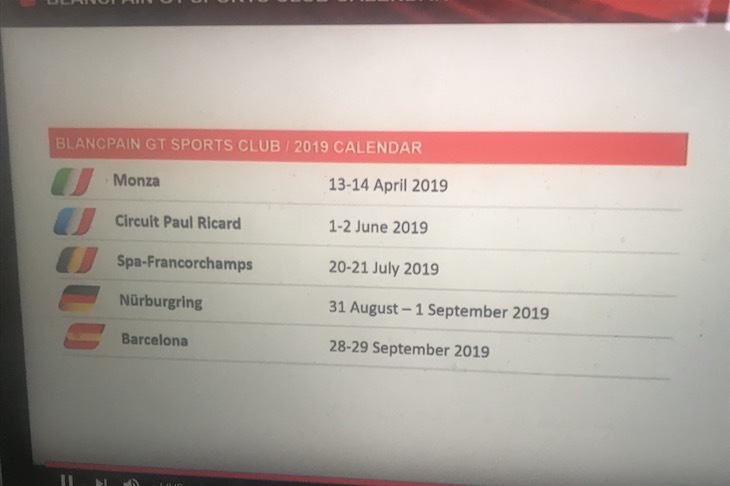 Blancpain Endurance meanwhile goes back to Nurburgring rather than Barcelona in an otherwise unchanged calendar for 2019. Is reduced to 5 events after summer races this year were relatively poorly supported. 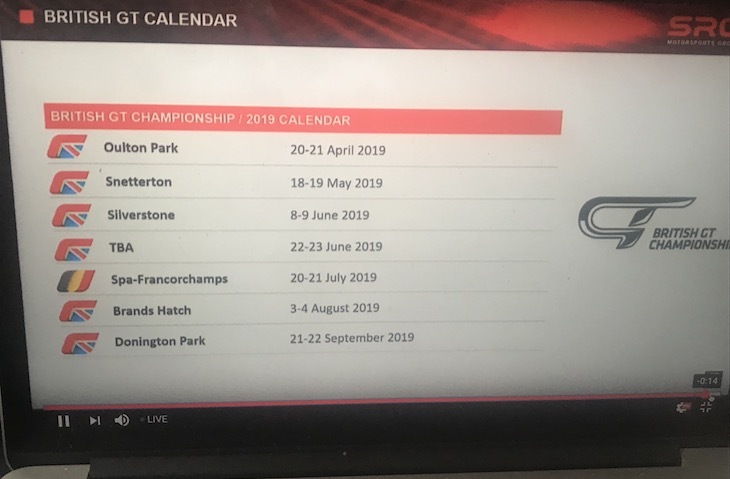 7 events in 2019, looking to change just one event. In 2019 one Asian passport holder per car will be required. Add Korea International Circuit to replace Ningbo in China. Alain Adam, Blancpain GT Series Race Director becomes Race Director for PWC. 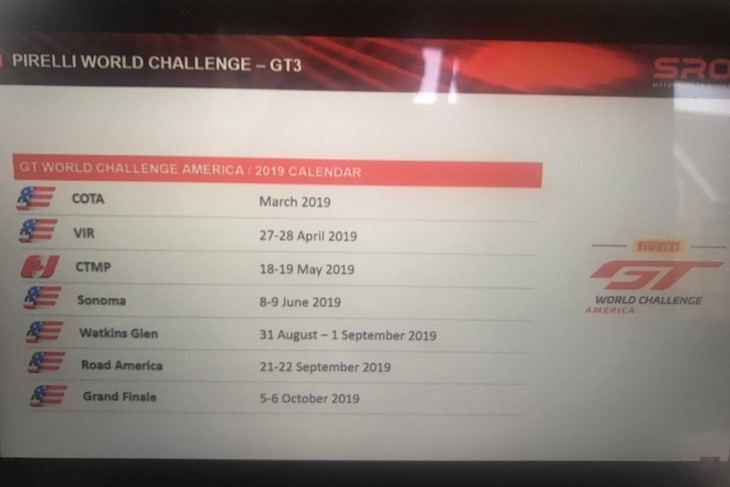 PWC Calendar, as previously announced, will be reduced to seven events for the GT3 cars. Stephane revealed that in the past year 241 GT4 spec cars have been used in competition worldwide with strong growth in Europe and North America, though at present Asia is comparatively weak. 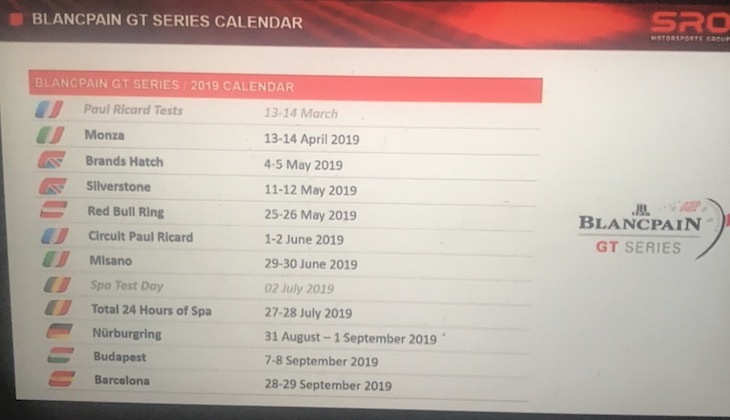 The GT4 European Series is to be extended to 7 events in 2019 all part of Blancpain GT Weekends, 5 Sprint and 2 Endurance events, Paul Ricard and Spa for Endurance Events. A new GT4 Series to be launched in Germany with Lars Soutschka, ADAC MD on stage having today signed a long-term contract for GT4 BoP alongside GT Masters. The Central European GT4 Series though is canned. 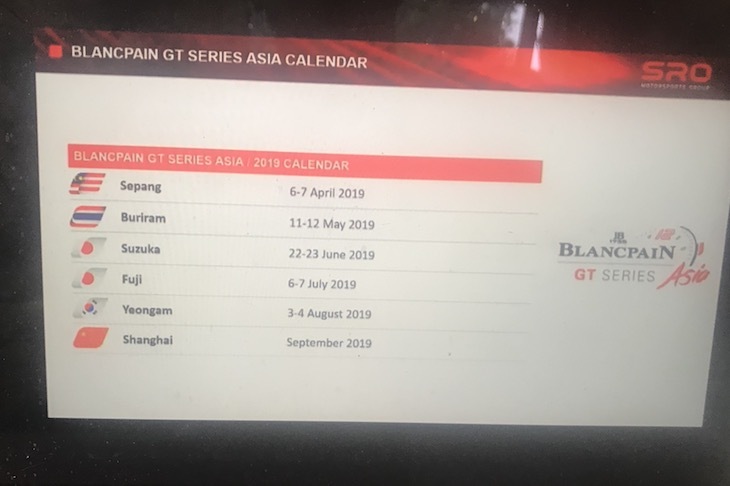 Another new GT4 Series is to be launched in Asia, a standalone Series within the same meetings as Blancpain GT Asia. Strictly Am drivers, Asian nationals and residents only. The new class will, rather confusingly, “Fill the gap in price and performance between GT3 and GT4, will be reserved for ‘true Supercars’, ‘The GT4 concept applied to more powerful cars’. No change in location of engine or gearbox will be permitted from road car brethren, the cars will be more powerful than GT3 cars but with much less aerodynamic development and grip. 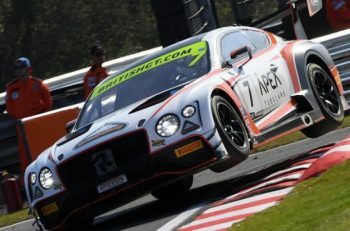 In 2019 it will be part of the Am class only in Blancpain GT Sports Club and the British GT Championship, after a specific one-off event to launch the class. 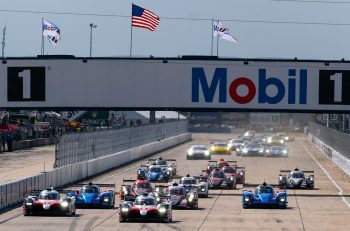 From 2020 it is envisaged that the class will be extended to the Blancpain GT Series Sprint Cup, Blancpain GT Series Asia and Pirelli World Challenge. More to come throughout the day on these stories.